Can the nation's aging water infrastructure be fixed? While water-quality experts deem most of the nation's drinking water safe, the recent crisis over lead-tainted water in Flint, Mich., dramatized the problems that plague communities nationwide: Lead and other toxic substances continue to pose a threat, and government agencies responsible for monitoring water safety sometimes fail to protect the public. 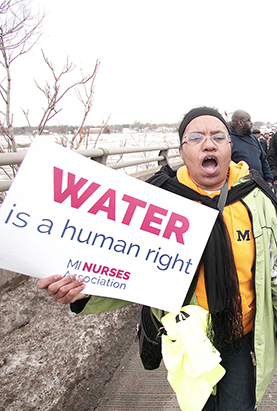 Investigations conducted since the Flint crisis came to light last year have found that thousands of water systems nationwide have failed to meet federal safety standards for lead and other harmful substances. Moreover, environmentalists warn that tens of thousands of industrial pollutants and pharmaceutical compounds slip through water-treatment systems without being tested or regulated. The Environmental Protection Agency sets water-safety standards, but the sourcing, treatment and distribution of water is left to local utilities, some dealing with polluted water sources, old pipes or shrinking budgets. Cost estimates to fix the aging U.S. water infrastructure include $30 billion to replace lead pipes and $1 trillion to upgrade water mains.